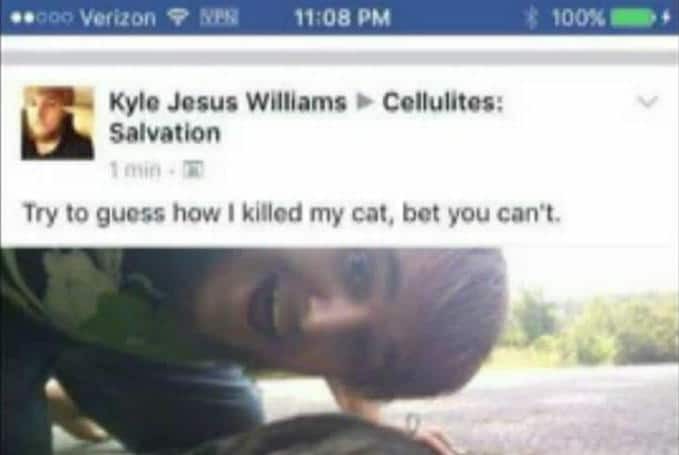 Kyle Williams and Jordan Hall, two Missouri men are arrested after dragging a cat to its death with a vehicle along with posting the incident on Facebook. Kyle Wayne Williams and Jordan Hall, two 18 year old Branson, Missouri teens have been booked on animal cruelty charges after allegedly tying a kitten to a SUV car’s bumper and dragging it to its death before posting a video of the incident, where witnesses could be heard laughing. Upon their arrest on Sunday, Williams and Hall were charged with animal abuse and criminal action. In a probable cause against the men, cited by Branson Tri-Lakes News, amongst the sounds of laughter, a voice could be heard saying that ‘this will be funny’ as Williams is seen tying a rope around the neck of the ‘scared’ cat to the bumper of a Jeep Grand Cherokee. The affidavit noted the cat being dragged until it ‘could not run anymore’ while noting that video showed the cat was healthy and scared at the beginning of filming. A video was subsequently posted to a closed Facebook group of 40,000 members (before soon being taken down) showing the tormented animal being dragged for nearly five minutes while two individuals laugh. Tells a voice towards the end of the video, ‘Shake your head for me if you’re dead’. Image posted on Branson Missouri, Kyle Williams’s Facebook page. A report via fox4kc told of group members at first believing the image being that of a ‘road kill’ incident with Williams responding he would be willing to post the whole video if members agreed to ‘buy me’ a pizza. It was soon after that the two teens were reported to Branson Police Department with up to 100 individuals reaching out to authorities. Wrote one group member after the teen’s arrests, ‘He posted it in the wrong group. About a hundred of us immediately started reporting him to whoever we could get hold of. Animal cruelty is not okay’. 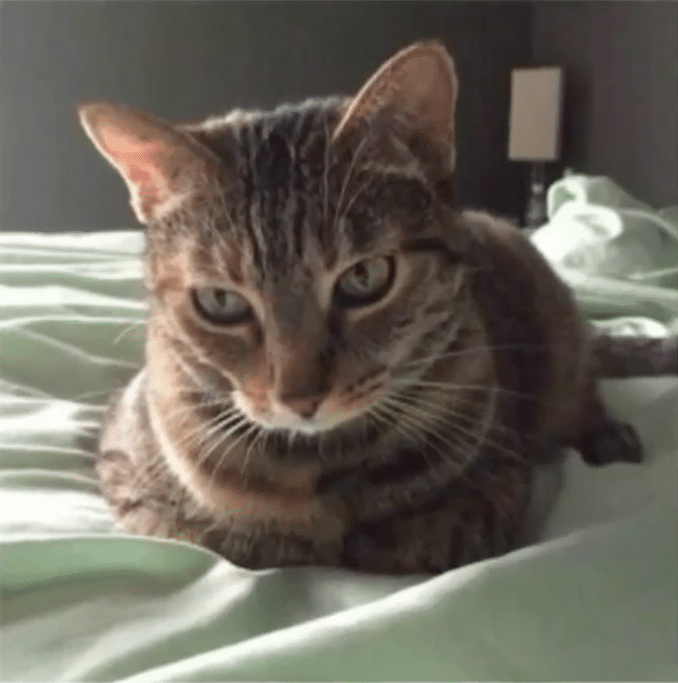 Investigators believe the cat was killed on Thursday, June 1, before the video was posted online last weekend. The prosecutor for Taney County, Jeff Merrell, said the investigation into the case is ongoing and that more people might yet be arrested. Hall has been identified as the driver. Police say Williams posted the video on Facebook. Online court records also show that Williams was scheduled to be arraigned on Monday, with the man ‘removed from the courtroom due to behavior and being disruptive,’ according to the online docket. He is now scheduled to be arraigned June 12. Both teens remain in custody in lieu of $15, 000 bond. Pictured, the cat, Kyle Williams and Jordan Hall tortured.